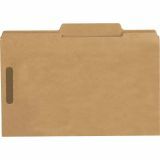 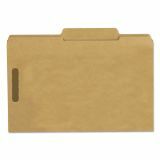 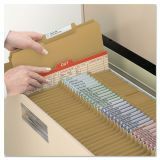 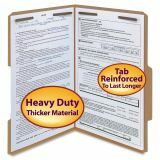 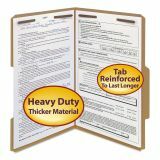 Smead 17 Point Kraft Folders, Two Fasteners, 2/5 Cut Rt, Top Tab, Legal, Kraft, 50/Box - Keep papers secure and in order, even when folders are handled by lots of people and transported out of the office. 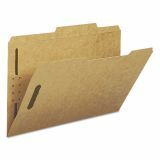 Folders feature two fasteners in position No. 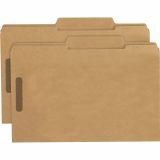 1 and 3 that hold papers securely and keep them in order. 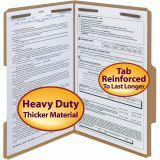 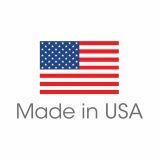 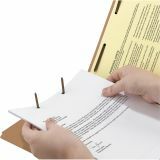 Heavy-duty kraft stock withstands wear and tear from taking papers out of the office or handling by many people. 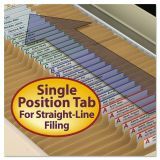 One-ply tabs are 1/2 high and 2/5 cut in right of center position. 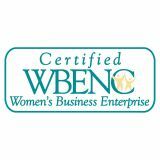 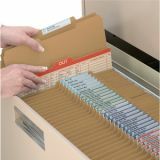 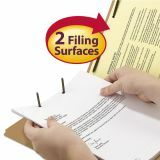 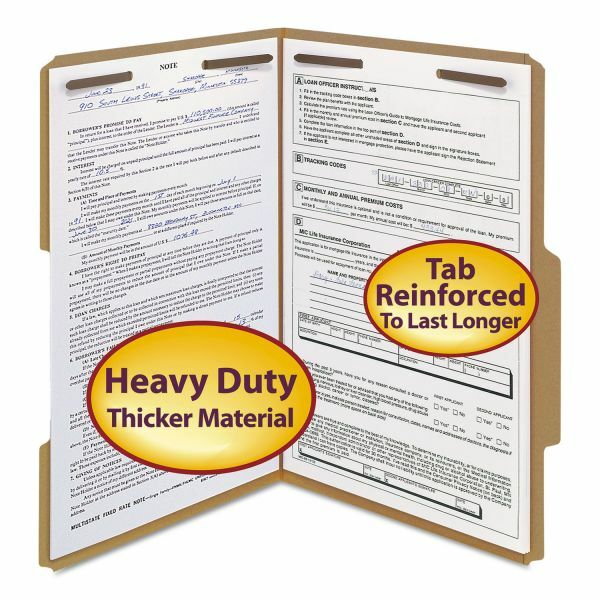 Legal-size fastener folders are scored for 3/4" expansion and made of 17 point Kraft stock. 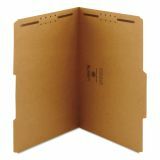 Other features include front panel undercut, a 2" prong K-style fastener, and rounded top corners (front and back).